"All of my friends rave about these frosty drinks. I pour my leftover coffee in ice cube trays and keep them on hand all the time. You can make fun squiggly designs on insides of glasses with chocolate syrup, before pouring mochas. Top with whipped cream." Pour coffee into ice cube tray. Freeze until solid, or overnight. 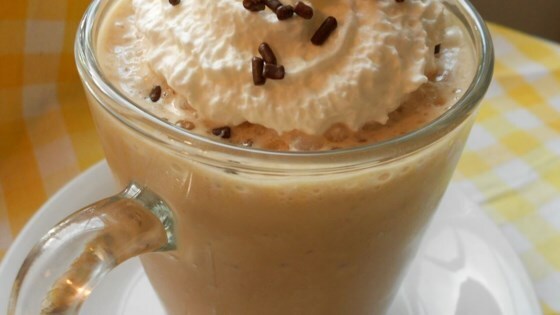 In a blender, combine coffee ice cubes, milk, chocolate syrup and sugar. Blend until smooth. Pour into glasses and serve. These were okay, but nothing special, and too much work, what with the blender, for something that wasn't all that great. Won't make again.